DR. LEIGH ANNE HARDEN is an assistant professor of biology at Benedictine University (BenU), Lisle, IL. She is an integrative functional ecologist and has been involved in the research and conservation of reptiles and amphibians since 2005. She received her B.S. in Biology from Davidson College, NC in 2007 and received her Ph.D. in Marine Biology from the University of North Carolina Wilmington (UNCW), NC in 2013 under the advisement of Dr. Amanda Southwood Williard. Before coming to BenU in 2015, she was a Postdoctoral Research Associate and Adjunct Assistant Professor of Biology at Davidson College, NC, and she was a Postdoctoral Research and Teaching Associate position at Loyola University Chicago (LUC), IL in the Milanovich Lab. 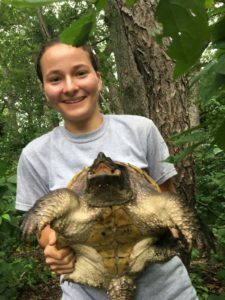 The Harden Lab continues to collaborate with The Milanovich Lab @ LUC studying the effects of land-use and climate change on, and the ecological role of, amphibians and reptiles – in both natural and urban ecosystems. MACY ANDLINGER is a junior at Benedictine University studying biology. Macy is president of the PAW Club (People for Animal Welfare). She began her research with Dr. Harden in the summer of 2018. 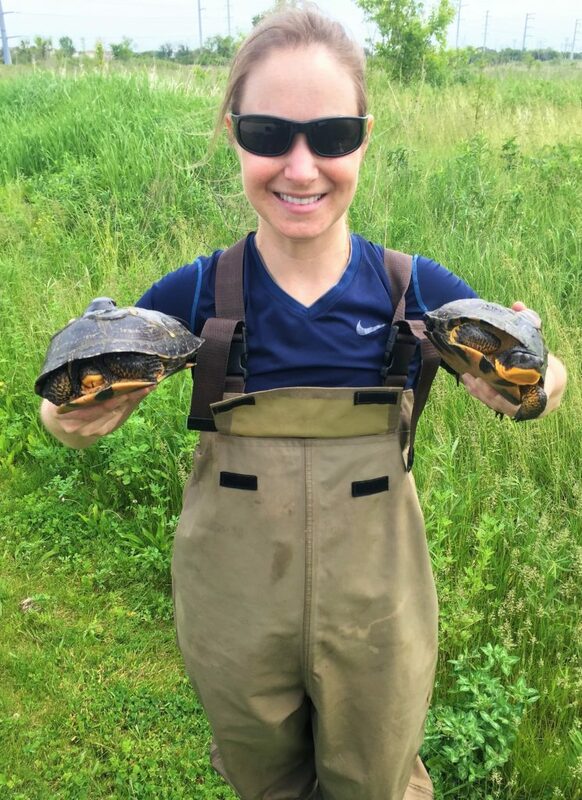 Her research focuses on assessing the population dynamics of a variety of freshwater turtle species as well as how these organisms are influenced by their ecosystems. ALEX KARWOWSKA is a junior Jurica Scholar student at Benedictine University studying biology and music. Alex is the committee chair for the College of Science in Student Senate and involved in Polish Club. Alex was a summer 2017 research student in the Harden Lab and has continued research into the school year. 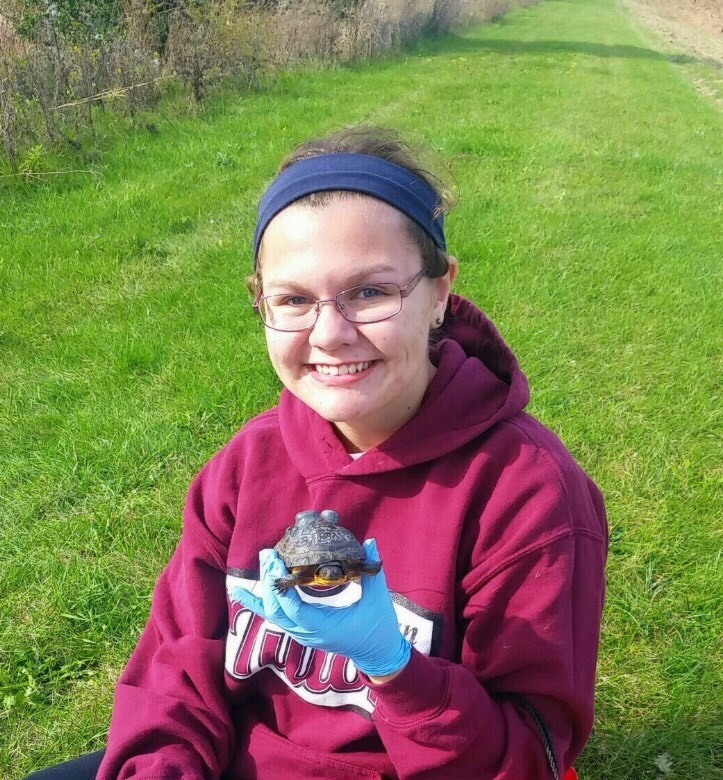 Her research project is a collaborative effort aiming to assess the hematological health of augmented Blanding’s turtle populations, an endangered wetland species historically distributed throughout the Midwest. REBECCA WEBER is a junior studying environmental science at Benedictine University. She is a Jurica Scholar and the president of the campus environmental club, Students for Ecological and Environmental Development (SEEDs). Rebecca began researching with the Harden Lab in Fall 2017. 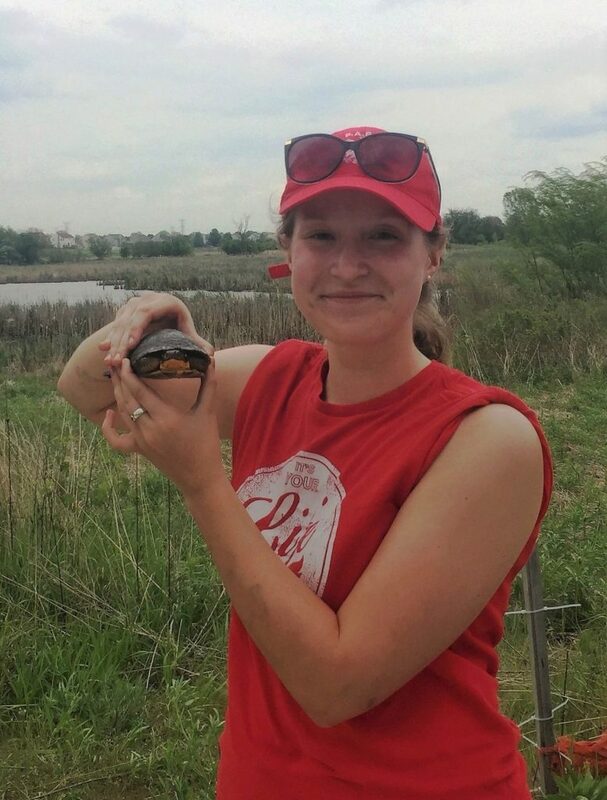 She is a member of the team focused on evaluating the hematological health and stress levels of captive-reared Blanding’s turtles following their release into DuPage County wetlands. ELIZABETH KVITEK is a sophomore studying Biology and Spanish at Benedictine University. Elizabeth began research with the Harden Lab in the Fall of 2018. 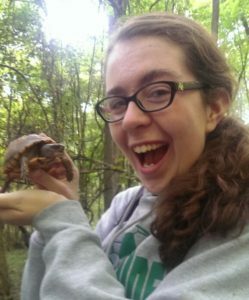 Her research involves monitoring the health and population of freshwater turtles which is indicative of the state of the ecosystem. MARY KEENAN is a senior at Benedictine University studying biochemistry/molecular biology. She is a member of the Benedictine University soccer team and the Tri-Beta Biology Honor Society. Mary began her research with the Harden Lab in the fall of 2018. 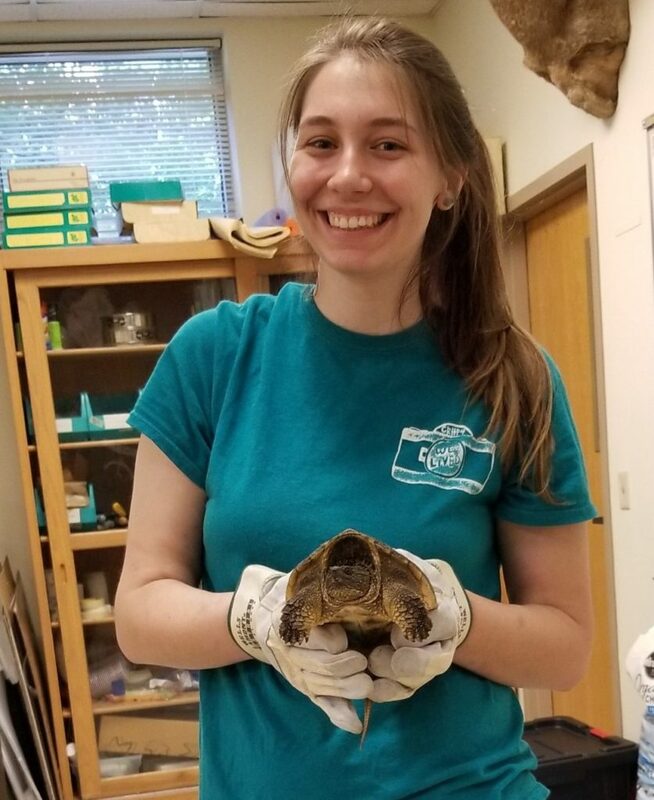 She does research on the captive-reared Blanding’s turtles program focusing on evaluating the health of turtles caught and released through the program. SUMAIYA SHAHJAHAN is a graduate of Benedictine University with a major in Medical Humanities along with a minor in Medical Spanish. Sumaiya began her work with the Harden Lab in Spring of 2017 and was also a 2017 NSSRP summer research student. 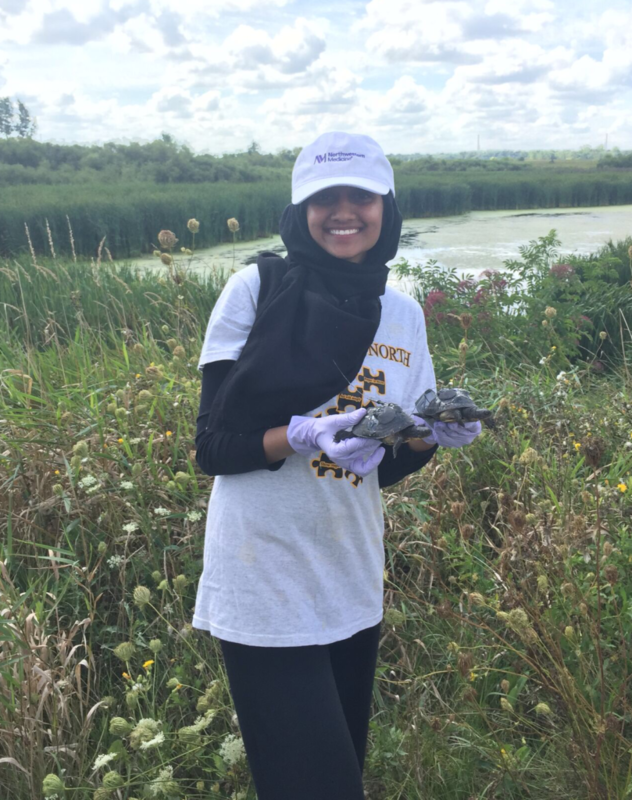 Along with Alex and Rebecca, Sumaiya worked on research to assess the hematological health and immune response of captive-reared, re-released augmented Blanding’s turtle populations. TIM BENJAMIN is an environmental science graduate of Benedictine University. Tim began working with the Harden Lab in the summer of 2017 as NSSRP research student and continued with research his senior year. 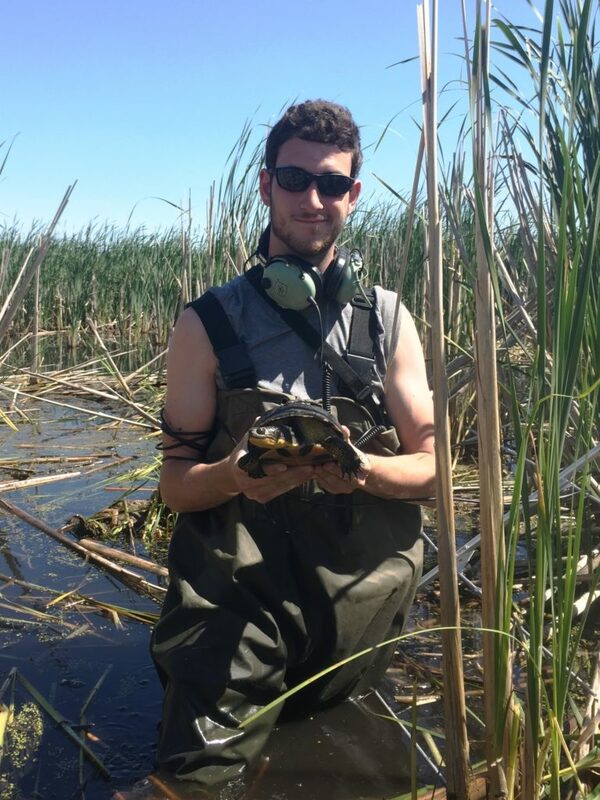 His research project focused on utilizing non-destructive techniques to measure mercury (Hg) concentrations in endangered, adult Blanding’s turtles, which was published in Bulletin of Environmental Contamination and Toxicology in Summer 2018! (see publications page for PDF). Tim is currently employed as a Natural Areas Maintenance Technician with Integrated Lakes Management (ILM) in West Chicago.